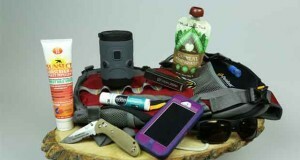 Summary : A great day pack complete with tons of pockets - and a integrated hydration system. 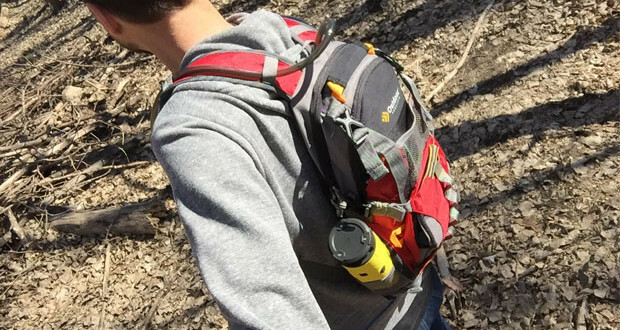 When I brought the Outdoor Products Freefall Hydration Pack home to test, my wife asked “What’s up with that cute little pack?” She’s right – it is a “cute” pack, but cuteness quickly disappeared when I dug into just how functional and versatile this daypack was. For starters, the storage in this pack is outstanding. No space is wasted, as function blends perfectly with fashion. 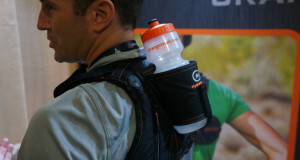 The outermost ‘pocket’ is designed to house a bicycle helmet, although I suspect that it’d also fit a growler of your favorite beer quite nicely. 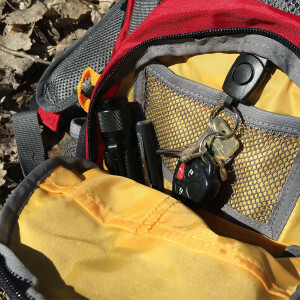 Directly behind this area, is a somewhat hidden and protected pocket that features multiple organizer pockets – as well as a built-in removable key ring. When I’m traveling, I often struggle to find a place to put my keys where I’ll remember them. All of these pockets and areas fit together flawlessly, and you can tell that attention was paid to the details in this pack. Two more medium sized pocket areas site below the organizer area, leaving plenty of room for small electronics. Something that struck me, was the amount of padding that sandwiches these interior pockets. I’d feel confident carrying a tablet or even smaller laptop in these compartments without fear of smash. 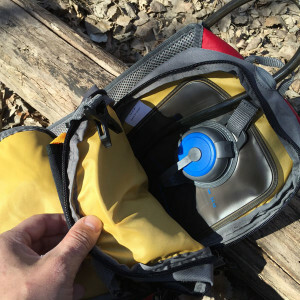 Housed within the main zipper is a 2-Liter hydration reservoir, making this a dream pack for a day hike or trip. 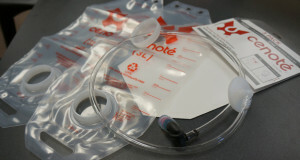 If you’re looking to get into a hydration pack system, but don’t want to break the bank – this is your ticket. 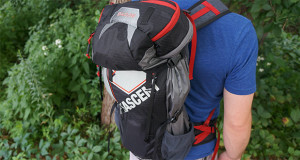 With an MSRP of $60 – you’ll have plenty of cash left over to splurge on gear that looks as great as this pack. The details on this pack are great. The clips and zippers are well placed – and likely provide more security than an average day hiker could ever use…which isn’t a bad thing. 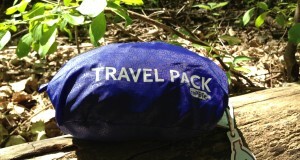 The padding on the back of the bag is well placed, and vented to prevent “sweat-outs” while out on the trail. 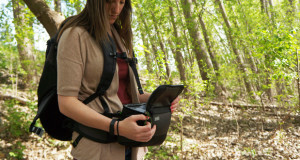 For more information, check out the Outdoor Products website.